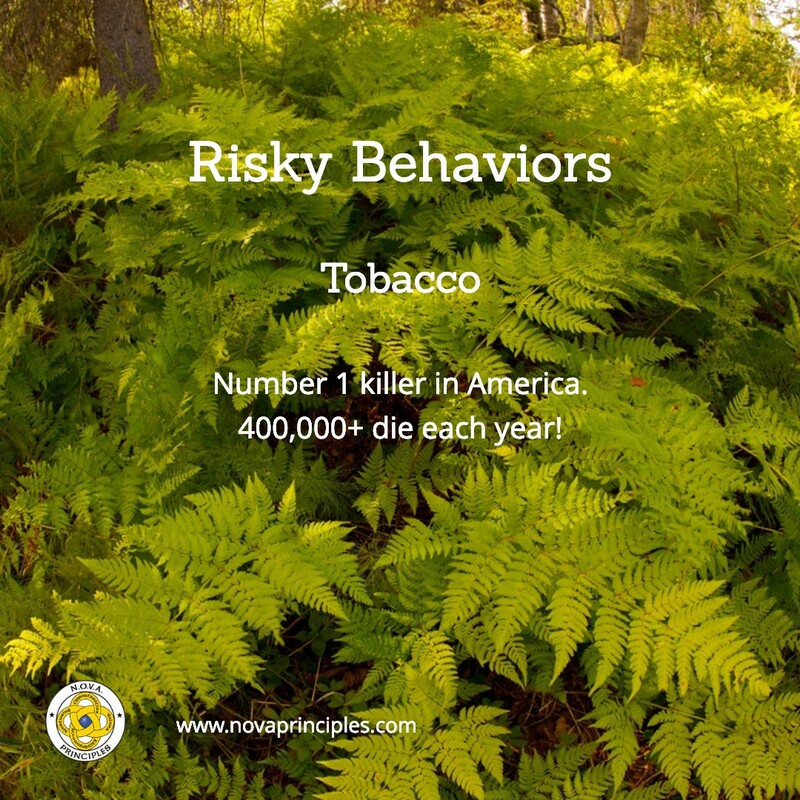 Tobacco: The addictive substance in tobacco is nicotine, which is one of the most addictive drugs on earth. Cigarette smoking kills more than 400,000 people in the U.S. each year. About 3,000 new kids start smoking everyday in the U.S. The effects of Tobacco use can cause: Heart disease, lung cancer, addiction, tooth decay, respiratory illness, shortness of breath, mouth & throat cancer, and death. Marijuana: Smoking marijuana weakens the body’s immune system. Marijuana can be both mentally and physically addicting. About 4,700 new kids start smoking marijuana everyday in the U.S. 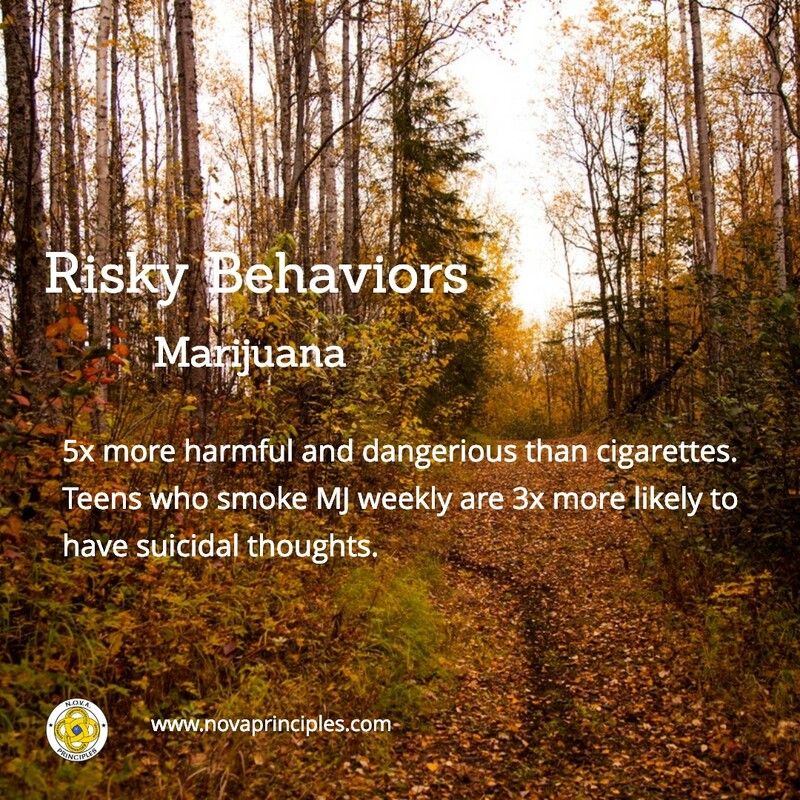 The effects of Marijuana use can cause: Poor memory (which leads to lower grades in school), respiratory illness, paranoia, depression, loss of energy, addiction, slow reflexes, suicidal thoughts and death. 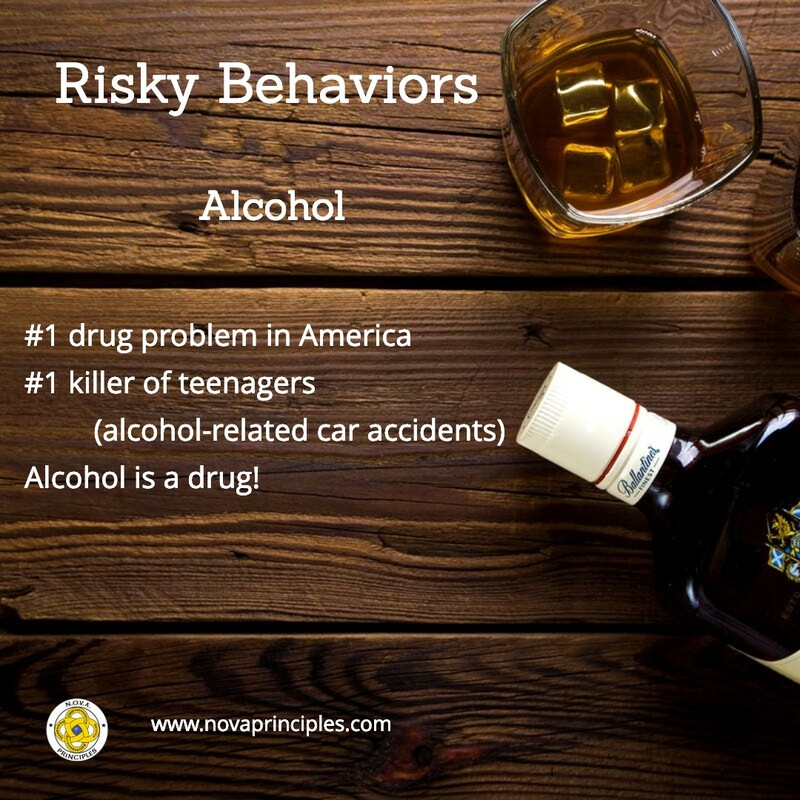 Alcohol: Alcohol is the most abused drug in the U.S. Just over 100,000 people die each year in the U.S. due to the effects of consuming alcohol. Drinking alcohol not only kills brain cells, but it can shrink the brain as well. The effects of Alcohol use can cause: Heart & liver disease, brain damage, addiction, violence, domestic problems, drunkenness, and death. Inhalants: Inhalants are chemical fumes and vapors from products like spray paint, glues, cleaning solutions, gasoline, etc., that can make a person high when inhaled. Inhalants are highly addictive and very harmful to the respiratory tract. 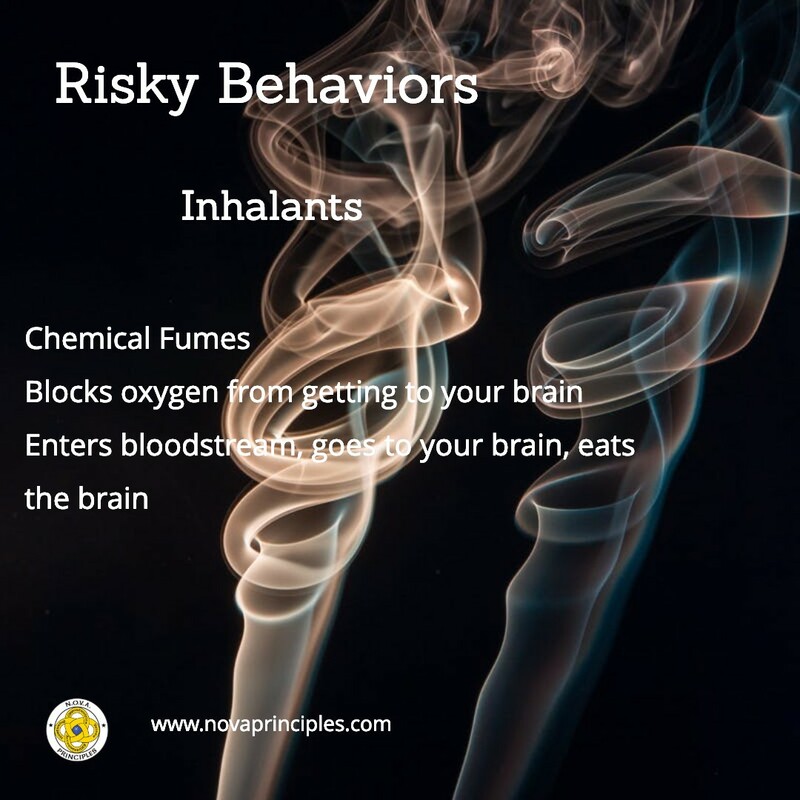 When Inhalants enter the lungs, the fumes and vapors enter the blood stream and are carried throughout the entire body where they damage organs, and dissolve the brain. Inhalants kill by blocking oxygen from getting to the brain. Students participate in an active learning lesson game where they put on a pair of “Drunk goggles” that simulates the effects of being drunk by distorting their vision. Students are taught that drugs do not have a path to excellence, and that they can lead to trouble and problems.